*For 30″ x 40″ framed prints, call for details and custom ordering. 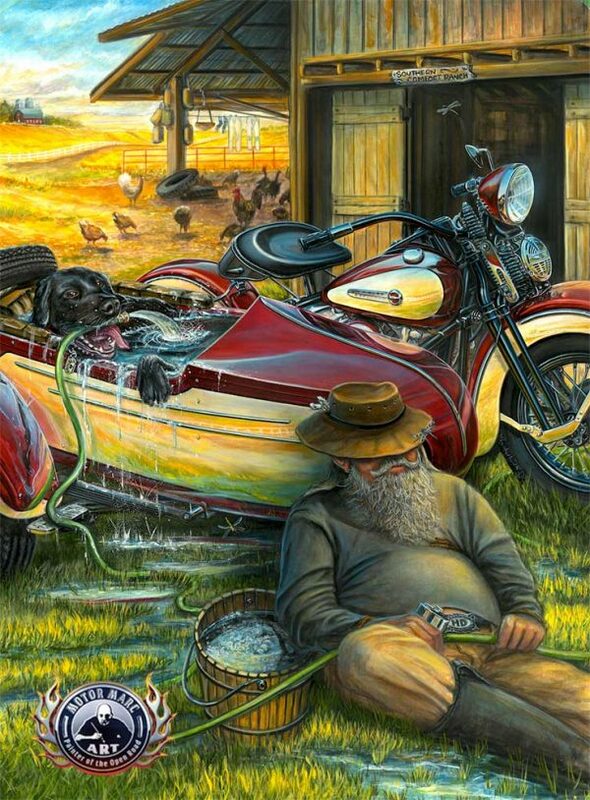 Any place will do for a well deserved nap after a hard days work on Southern Comforts farms. With the timing just right, the old man shutters down with his old pal by his side. A half empty flask and the sound of sawing logs leads Trouble the lab into mischief once again. This is the third limited edition to the Mans Best Friend series by Motor Marc Lacourciere. 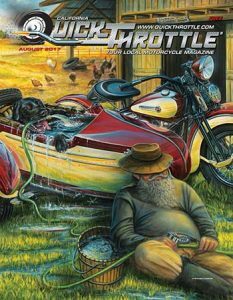 This will be featured in August on the cover of Quick Throttle magazine.